This is the never-ending crowd-pleaser of charcuterie board recipes because it demonstrates the simplest, yet best, ways to enjoy Prosciutto di Parma. Make sure the ham is sliced so thin that it is almost translucent. 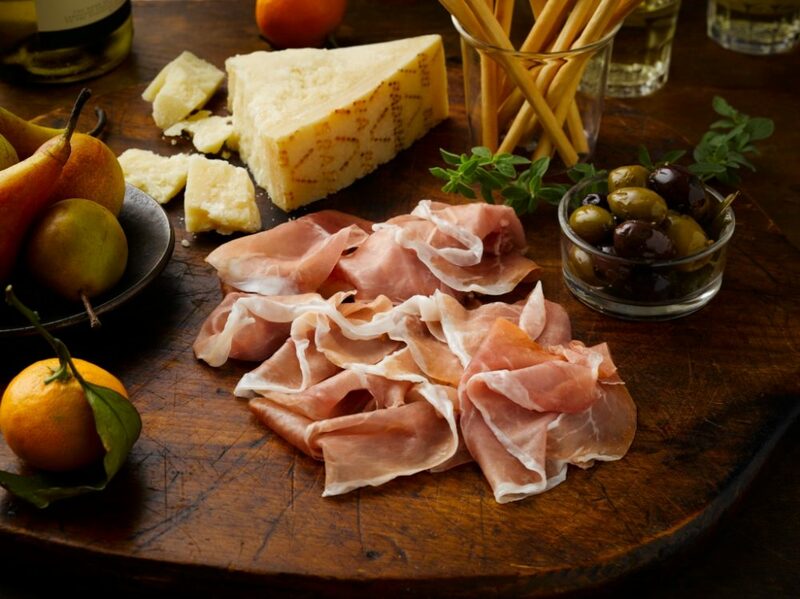 Then, place the prosciutto and cheese onto a large platter accompanied with mixed nuts, Italian bread, zesty olives, and dried or fresh fruits. The best charcuterie board will keep things simple! Pair this one with sparkling and slightly acidic wines, such as Lambrusco or Prosecco. To showcase a really great brew, choose a refreshing white ale or a clean, palate-cleansing lager. Assemble each ingredient onto a wooden board, slate or platter. Pair with your favorite beverage.